Erector Sets, Lincoln Logs, Lego Blocks. The building blocks of our architectural imaginations. As children, we constructed beautiful homes, structural marvels, space stations and historic buildings. But just as real structures meet their end at the hand of excavators, so too did our childish creations. Our carefully assembly was marred by ultimate destruction. We unscrewed the bolts, pulled log from log, detached Lego block from Lego block, and we were left with a pile of two or here or maybe four different sizes, colors or types of materials. It was easy to separate and reuse. Reusing and recycling was easy then. That’s not always true for real demolishers and builders, who are faced with a greater challenge of separating and processing construction and demolition (C&D) materials. This separation challenge results in an overall C&D recycling rate of 10-40 percent, according to an article in Waste Age. But for steel scrap, that recycling rate may be close to 100 percent, depending on the type of construction. Why? Magnetic attraction, ease of processing and handling, economic value and recyclability. Once a building has succumbed to the wrath of a wrecking ball or an impressive implosion or, more likely, the destructive force of an excavator’s boom arm, little recognizable is left except for the demolition crew to move the steel scrap to the ground and separate the ferrous from the other materials on or off site, using either a grapple or a magnet. The steel and any nonferrous metals are sold to a local scrap yard, for further processing such as shredding or baling. The steel is than shipped to end markets for recycling. The power of steel’s magnetic attraction must not be overlooked when discussing C&D recycling. It is already clear that magnetic separation makes steel cans an easy commodity to separate, process and handle from community recycling programs. The same is true of other steel recycling. The magnetic quality of ferrous products makes it easy to move steel beams or studs weighing several tons from a C&D site to a waiting truck. But while magnetics greatly contribute to steel recycling, the ferrous scrap processing industry is critical to its success. While he assuredly scoured the streets near the site of the original Madison Square Garden, not everyone remembers the original recycler in New York City. It has been some time since the ragman pushed a cart down the alleyways paying for ferrous scrap. He would sell his collected wares to steel mills, which recycled the scrap into new steel products. The sheer size and number of C&D projects in the United States produce a considerable amount of material for the modern equivalent of his scrap processing business. In an age of steel skyscrapers and superhighways, the ragman’s scrap yard has bloomed into today’s capital-intensive ferrous recovery operations. More than 1,500 ferrous scrap yards across the country collect or receive steel scrap from C&D sites and other scrap sources; process it by shredding, crushing or baling; then ship it to steel mills for recycling. In 1993, approximately 66 percent of all the steel produced in the United States was recycled. 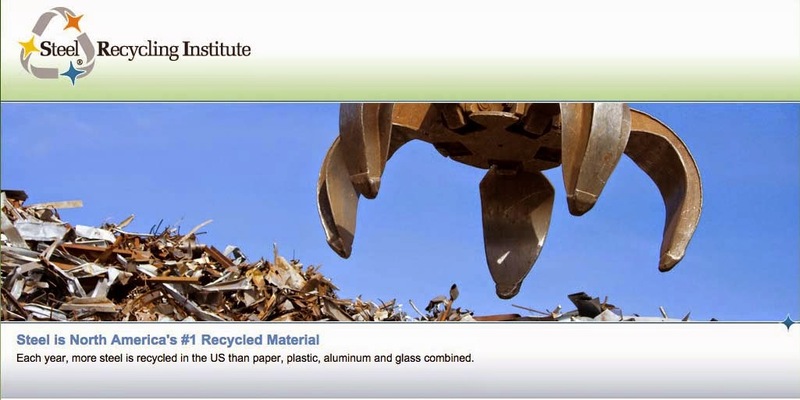 A great contributor to this recycling rate is steel recovered from C&D sites. Of the 63 million tons of steel scrap recycled last year, about 30 million tons were recovered from C&D. The success of steel recycling began with the development of the recycling infrastructure. Without ferrous scrap processors, the steel industry would never have been able to recycle 50 percent of all the steel produced in the United States in the past 50 years. Floor after floor, the walls shining in the autumn light, the Sears Tower is a tribute to modern architectural design using steel. Towering 1,454 feet and claiming 110 stories, the Sears Tower was constructed 20 years ago with a steel system of nine bundled tubes of different heights, each 75 feet square, with column spaces at 15 feet. Without steel, the Sears Tower would not be possible. industry recognizes the durability and strength of steel, not only for structural integrity but also for interior framing. Now, the residential industry is also beginning to recognize the value of using steel. Between 1979 and 1992, the number of steel framed homes increased by more than 300 percent. By year-end 1994, it is expected that 40,000 homes will have been built with steel framing. Steel framing has become popular because of its superior strength-to-weight ratio, cost and consistency. A variety of readily available shapes and sizes makes steel a versatile material that saves time and costs when building new homes. In addition, steel is recyclable and contains recycled steel. Builders in the United States and Canada are constructing all types of steel homes: multifamily housing developments, retirement homes and single family houses. In the sunbelt, steel is a popular building material because of concerns about termites, decay and hurricanes. Builders in urban areas are using steel because it does not combust. Builders in areas prone to earthquakes are choosing steel because of its resilient strength. Just as children abruptly disassemble their Erector Set, Lincoln Log or Lego creating, so too can the destructive forces of nature damage communities. From the earthquake in Los Angeles, to the floods in the Midwest, to the hurricanes in the southeastern United States and Hawaii, steel and other recyclable materials were recovered, processed and recycled. Steel scrap, from damaged products, from appliances made useless because of water damage and from containers used by volunteers helping to clean up the disasters, was collected and recycled. These collection and recycling efforts ensured that the natural disasters would not become massive solid waste disasters. But minimizing solid waste disasters is not all that must be done to assist those communities hit by natural disasters. Many communities need to be totally rebuilt. The 1992 hurricane in south Florida left many families homeless. Since existing steel framed homes withstood the hurricane, some communities are choosing to rebuild with steel. In fact, in order to help those most in need, the American Iron and Steel Institute (AISI), along with participating steel companies and other groups, is building new steel homes for low income families in Florida City and Homestead, FL. In Florida City, steel companies are donating more than 1,000 tons of steel for the framing and roofing systems of the homes. The contribution of steel and steel-related products and services to the Andrew Estates Project is estimated to be between $1 million and $1.5 million. In Homestead, steel companies are working with Habitat for Humanity and the National Association of Home Builders to build 200 Homes in Jordan Commons. Members of AISI will provide the steel framing, fasteners, tools, engineering, training and roofing for the project. Builders, just like consumers, are increasingly demanding that products contain recycled material. Fortunately in the case of steel, it’s easy to buy recycled. Why? Because all steel contains recycled steel. When you buy something made of steel, you’re buying recycled. Obviously, when you build with steel, you build with recycled material. New steel is made with old steel - cars, appliances, cans, construction materials and other recycled steel scrap. Many states have instituted buy-recycled mandates that require purchasing agents to buy products with recycled content when possible. In addition, the Environmental Protection Agency has proposed a federal procurement guideline for recycled products. Bridges, guard rails, road signs, fire hydrants, residential and commercial construction materials, cars, trucks, back hoes, desks, file cabinets and cans are some of the many steel products that contain recycled steel and are recyclable again and again.